Kingdom Hearts III finally comes out next week, only 14 years since Kingdom Hearts II first graced the PlayStation 2. The mash-up of Disney and Final Fantasy has been far from dormant, though. During that time, Square Enix has added so much to the series’s universe that it’s hard to keep track. Even if you’ve played all the games (around 16, including mobile games with currently ongoing stories) you might still have questions, because the story of Kingdom Hearts is that complex (or convoluted, your pick). 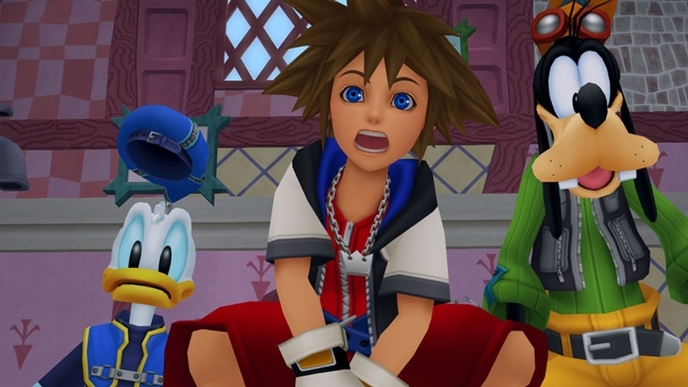 Here’s a guide on everything you need to know for Kingdom Hearts III—which is a lot! We know that it’s hard to stay focused on the hours-long YouTube collections of cutscenes from each game, and that it’s impossible to know where to begin with hundreds of Wikipedia summaries. Thus, with this summary we’ve tried to strike a balance between something that isn’t overly long (relative to the series, at least), but that’s detailed enough so that you know more than just the basics. Let’s dive into this not-so-simple-and-clean lore summary! Kingdom Hearts III will mark the end of the Xehanort saga, which consists of all the games in the series until now. Most of these games are led by Sora, a boy from a world called Destiny Islands; this is his journey, but the story of Kingdom Hearts didn’t quite begin with him. It began hundreds and hundreds of years ago, back when the worlds used to be just one world and Kingdom Hearts was the light that shined on everything. A cloaked man in Daybreak Town named the Master of Masters bestowed upon five of his six apprentices the Book of Prophecies, a tome that prophesied the great Keyblade War. He gave the apprentices Keyblades and special individual missions for what would come after the war, as he believed there was no use in changing events already set in stone. He gave his sixth apprentice, Luxu, a special keyblade named No Name that has the eye of the Master of Masters. As Luxu travels and the keyblade gets passed down in the future, so will his eye, allowing him to see everything. He also gave Luxu a box, which Luxu was to carry but never open, though the Master of Masters whispered what was inside in his ear. We aren’t privy to what he said, but it’s likely we’ll find out in Kingdom Hearts III. The Master of Masters gave Luxu a special version of the Book of Prophecies. This version was special because, unlike the version he gave to the other five apprentices, it wasn’t missing the final page. The final page was crucial because it would reveal that the cause of the Keyblade War would be the darkness in people’s hearts—the conflict between the Unions. The other five apprentices, known as the Foretellers, stayed behind, leading their own Unions on their missions while Luxu left and the Master of Masters disappeared without a trace. By defeating Heartless, the monsters of darkness present throughout the series, the Foretellers would gather light in hopes of preventing the war. One day, a Foreteller named Ira called a meeting. He had found a Nightmare, which is what happens to a Chirithy (a Foreteller’s cat-like familiar) when the heart of its Keyblade-wielding owner is tainted by darkness. Before disappearing, the Master of Masters told them that if they saw a Nightmare, someone had fallen into darkness. If they didn’t stop the Nightmare, it would plant darkness into the hearts of others, and eventually create an army. Ira then confessed to another Foreteller that he had realized a page was missing in everyone’s books. He believed that someone secretly had the lost page and that this person was the traitor whose Chirithy had turned into a Nightmare. Distrust and suspicion quickly seeped into the relationships between the Foretellers and would amount to the start of the Keyblade War. 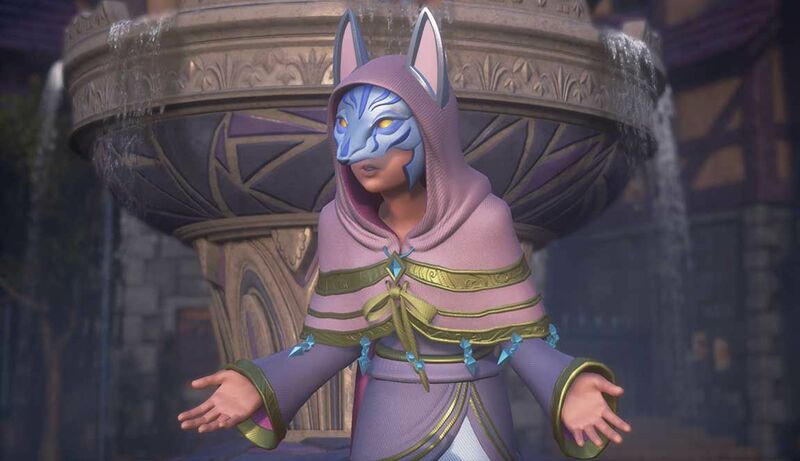 So, in the end, the Master of Masters successfully manipulated his Foretellers, ensuring the Keyblade war and putting the events of the Kingdom Hearts series in motion. While the Foretellers and all the wielders in their Unions had Keyblades, there was one original Keyblade (written as the X-blade), which had the single purpose of protecting Kingdom Hearts. As a result of the Keyblade War, both were destroyed, with the X-blade shattering into twenty pieces: seven fragments of pure light and thirteen shards of darkness (keep this in mind). So how did the world survive despite the War? Well, Ava, one of the five Foretellers, had the crucial mission of secretly founding the Dandelions. The Dandelions were exceptional Keyblade wielders who, once the war broke out, dispersed like dandelions to different realms to protect what was left of the Realm of Light. There are three Realms: The Realm of Light, the Realm Between and the Realm of Darkness. The Dandelions primarily settled in the worlds in the Realm Between, which is the narrow realm that exists between the borders of the Realm of Light and the Realm of Darkness. Because of their work, Light remained in the hearts of children, drawing fragments of the World back together and creating several separate worlds in the process. Birth by Sleep opens with a man named Master Xehanort bringing a comatose boy named Ventus to Destiny Islands. Ven’s heart is missing, but suddenly a newborn heart finds Ven and connects with him, saving him and giving him the ability to use the Keyblade. We’ll touch on why this happens later on in this summary. Before Sora and his friends Kairi and Riku, there was another trio of friends that would be integral to Kingdom Hearts: Aqua, Ventus and Terra, who live in the Land of Departure. Training under Master Eraqus, they’re preparing to take the Mark of Mastery exam once they come of age in hopes of becoming Keyblade Masters. Aqua is the only one who passes the exam; Ven is too young and Terra is unable to become a master because there is a great amount of darkness in his heart—and in order to pass the exam, you need to have a strong heart of light. Before the exam, Master Xehanort had manipulated Terra, convincing him he needed to have a stronger control over the darkness in him in order to become a master. Sadly, Terra is dumb and doesn’t seem to realize that Master Xehanort Looks Very Obviously Like A Villain, so he decided to follow his words. He’s just dumb enough to start many of the bad events of this entire series, really. There are three main antagonists in this game: Master Xehanort (who’s the real big bad of the entire series), Vanitas and the Unversed. We’ll start with Vanitas: He’s a creation of Master Xehanort, manifested when Master Xehanort extracted the darkness in Ven’s heart when Ven was his apprentice. Why did Master Xehanort do this? Well, Master Xehanort’s greatest goal is to combine the pure light in Ven and the pure darkness in Vanitas to forge the X-blade and open the door to Kingdom Hearts. It started as a scientific curiosity and then evolved into a lust for power and a dangerous desire for a second Keyblade War. If he gets the two to fight at their maximum power, the X-blade can be forged. As for the Unversed, you might wonder why these blue creatures aren’t in the other games in the series. That’s because the Unversed were created from Vanitas’s feelings of hatred and negativity. Since those feelings were never-ending, the Unversed kept being created for the purpose of fighting Ven and making him grow strong enough for Master Xehanort’s goals. Once Vanitas dies, so do the Unversed, but for now, they’re a growing problem. Master Eraqus is informed of the impending threat of the Unversed through his friend and mentor Yen Sid, so he sends Terra and Aqua to travel among various worlds, destroy the Unversed and find Master Xehanort. Before dismissing Aqua, he asks her to bring Terra back from the darkness should he fall to it (narrator voice: he does). She also needs to bring back Ven, because, during all this, Vanitas manipulates Ven into believing Terra is in danger of losing himself, so he’s run off to chase him. This game’s alternate title should be Aqua Constantly Babysits Her Dude Friends: The Game, honestly. A primary world in almost every Kingdom Hearts game is Hollow Bastion, which at this time was still known as Radiant Garden. It’s here where Aqua meets a little Kairi, one of the main characters of the series. After sensing light within Kairi and a feeling that she is special, Aqua casts a spell on her that will protect her with the power of light when she’s in danger. This is also likely what gives her the ability to use a Keyblade much later on. Radiant Garden is also where Terra meets Braig, who tells Terra he’s captured Master Xehanort and will kill him unless Terra saves him. Braig and Master Xehanort are actually working together and this is just another way of manipulating Terra into further giving into the darkness to get stronger. Braig is actually pretty important to the series’s lore, so you’ll want to remember him. At one point, Terra arrives in Destiny Islands and meets a young Riku. He felt guided by a special light, which he realizes exists in Riku; because of this, he asks Riku to touch his Keyblade. This is the act that makes Riku a Keyblade bearer when the time comes. Not long after, Master Xehanort alerts Terra that Ven is so angered by the revelations of his origins that he has gone to kill Master Eraqus. While Master Xehanort is still manipulating things to put himself out of the equation, this isn’t a total lie: Master Eraqus is planning to kill Ven, but it’s to stop the X-blade from being recreated. Terra arrives in time to protect Ven and kills their master. After the tragic scene, Master Xehanort drops all pretenses and engulfs The Land of Departure in darkness. With the help of Vanitas and Braig, he forces Aqua, Ven and Terra to meet in the Keyblade Graveyard for a final battle. The three band together to stop Master Xehanort, Vanitas and Braig, but it’s a difficult battle that they ultimately lose. Terra finally succumbs to the darkness due to his hatred for Master Xehanort and all his lies, which lets Master Xehanort use Terra’s body as his new, younger vessel so that he can see his plans come to fruition. Ven is forced to fight Vanitas to stop him from killing Aqua, which leads to them joining together to forge the X-blade. After that, Aqua and Mickey fight the joined Vanitas and Ven, breaking the X-blade. This makes Vanitas and Ven engage in this weird metaphysical battle in Ven’s mind that ends with Ven killing Vanitas for good and destroying the X-blade. Unfortunately, this also leads to him losing his heart since the X-blade was partly made of Ven’s heart. By this point in the real world, Aqua is the only one left. She takes Ven’s comatose body to Yen Sid and learns from him that Ven’s heart sleeps in the Realm Between. Unless his heart comes back to him, he’ll never wake up. Aqua then carries his body out of Yen Sid’s tower, and Ven’s body guides her to The Land of Departure. With Master Eraqus’s keyblade she locks The Land of Departure, disguising it into what is now Castle Oblivion. Aqua puts Ven in a secret chamber in the castle, where he still sleeps today. Back at Destiny Islands, a young Sora starts to suddenly cry—this is because, unknown to Sora, he feels Ven’s suffering. Ven’s heart is guided to Sora because Sora’s heart was actually the newborn heart that saved Ven on Destiny Islands several years prior. It’s also why, when Vanitas’s face was revealed before his death, he looked like Sora from Kingdom Hearts II. This is because Sora’s heart was within Ventus the entire time…which made the extracted Vanitas take on his older form…just pretend it makes sense, please. After that, Aqua heads to Hollow Bastion, where she’s attacked by Terra-Xehanort. Sensing Terra’s struggle to regain control over his own body, Xehanort impales himself with his Keyblade, which plunges Terra back into the darkness and would then leave Xehanort with full control over his body. However, Aqua dives into the darkness to save Terra, sacrificing herself and giving him her armor so that his soul can survive, albeit deep within Xehanort. She really babysat them until the end, rest in pieces. The next day, a man named Ansem the Wise discovers a collapsed and amnesiac Xehanort and takes him in. Birth by Sleep ends with Aqua’s long journey in the Realm of Darkness—a journey that has spanned twelve years by the time of the present day. In the present day, which is after Kingdom Hearts II, she ends up on a beach where she meets Ansem the Wise. Ansem tells her of a boy named Sora, who may be the key to all of their salvation. Still with us? Okay, because this last one will be pretty easy to summarize in comparison to the last two. We’ve gotten through the worst of this part. At the same time, King Mickey leaves his castle because he notices stars have been blinking out; in reality, the stars are worlds that are disappearing one by one. He tasks Donald and Goofy with finding the “key” to everyone’s survival. That same night, a massive dark storm strikes Destiny Islands. Sora runs out and finds Kairi, who disappears after the door in the cave is blown wide open, and Riku. Riku is (willingly) swallowed by a portal of darkness, and Sora gets the Keyblade. After fighting some Heartless for the first time, the island is engulfed and Sora is transported to Traverse Town, where he eventually meets Goofy and Donald. The three quickly become friends and traverse through different (Disney-based) worlds using a Gummi ship, searching for Riku and Kairi and defeating Heartless from consuming the worlds in the process. They’re able to do this with the Keyblade because it’s able to seal the doors of each world, preventing Heartless from getting in. However, Maleficent works hard to make it difficult for the group. She wants to obtain control of all the worlds, and plans on capturing the seven Princesses of Heart to open The Keyhole, the final door, to Kingdom Hearts. Helping her is Riku because Maleficent has manipulated him into believing that he has been abandoned by Sora. Since she knows where Kairi is and that Riku wishes to find Kairi, the two work together. An important aspect of Riku’s character is that, in contrast to Sora, he believes it’s vital to embrace the darkness like Terra once did long ago. Things come to a head in Hollow Bastion. Sora and friends go onwards to defeat Maleficent in the depths of the castle. They do the thing, and then you’ll have to bear with me here because things get really weird. Sora and pals reach The Keyhole that, upon being unlocked, will let the Heartless do whatever they want, which is to overrun the world. Sora finds Kairi’s body (without a heart, since she lost it during the Heartless attack on Destiny Islands) with Riku. Right before the battle, Riku had been tempted by a mysterious cloaked figure into further embracing the darkness to become stronger. It seems like Riku’s parents never told him to not listen to cloaked strangers, so he heeds the figure and is now so corrupt with the darkness that he’s possessed by a dude named Ansem, Seeker of Darkness. Ansem is the Big Bad of this game (but not of the entire series by any means); he’s been manipulating Maleficent and the Heartless since the beginning. He tells Sora that Kairi is actually a Princess of Heart (explains the whole “she’s been a damsel in distress this entire time” thing now, eh) and that her heart has been hiding within Sora’s body since Destiny Islands was destroyed. Just normal friends/mutual crushes things. Soon, the three step through The Keyhole and eventually, after many JRPG Final Boss Phases, defeat Ansem. Well, sort of; they bring him to a near-death state, and once the true door to Kingdom Hearts opens, the light that pours from within kills him. Sora, Donald and Goofy rush to close the door upon seeing that there are seemingly endless heartless lurking in. Riku shows up from the other side of the door, working with them to seal the door from his side and telling Sora to take care of Kairi in his absence. King Mickey is in there too, and with everyone’s efforts, Sora seals the door. The light from the door restores the worlds that had been overrun by the darkness, including Destiny Islands. Kairi is sent back home while Sora is sadly forced to part with her, and it’ll be some time before the two see each other again. Kingdom Hearts ends with Sora, Donald and Goofy following a road to find King Mickey and Riku. Next time, in the second of our three-part series, we’ll be recapping Chain of Memories, 358/2 Days and Kingdom Hearts II. Natalie Flores is a former Paste intern who specializes in videogames. She’s on Twitter @heartimecia.